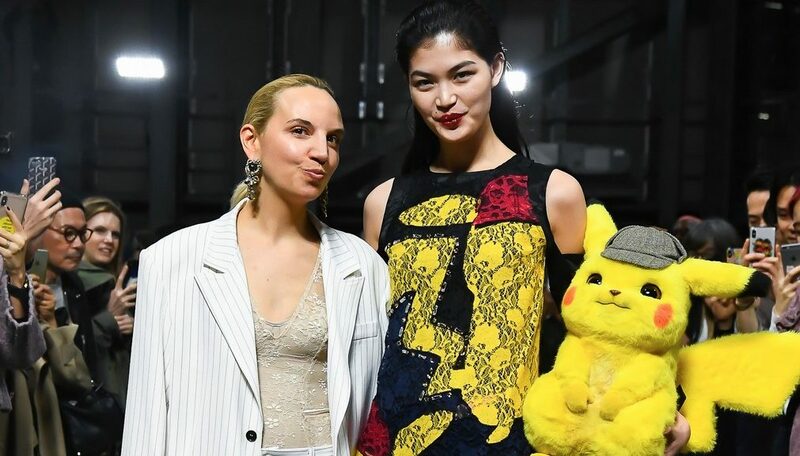 This week in Japan, Paris-based luxury label Koche revealed its 2019 – 2020 Fall/Winter collection at Amazon Fashion Week TOKYO 2019 A/W. During the show, we had our first look at the Pokemon Detective Pikachu dresses, shirts, hat, and apparel Koche is putting out later this year. Christelle Kocher, the founder of Koche, was present at the show. As Koche is a high end fashion brand, a piece of clothing could cost between USD300 and USD2000. These aren’t expected to be cheap.